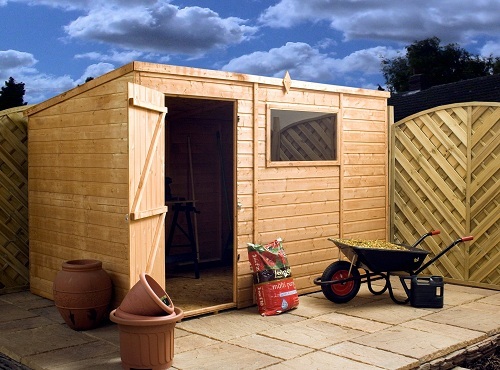 Taylors Garden Buildings express delivery range of pent wooden sheds offer great value and fast delivery, delivered to your door in just a few days. 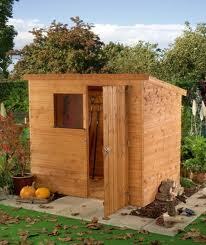 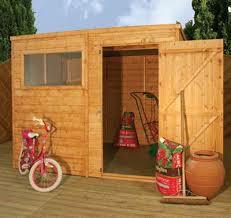 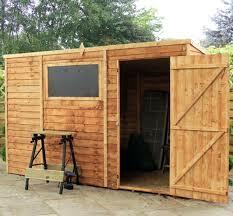 Many of these pent wooden sheds can be built for you by our professional team when they deliver. 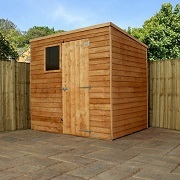 The Hereford Overlap Pent Shed with sturdy 7mm overlap cladding andn solid sheet floor. 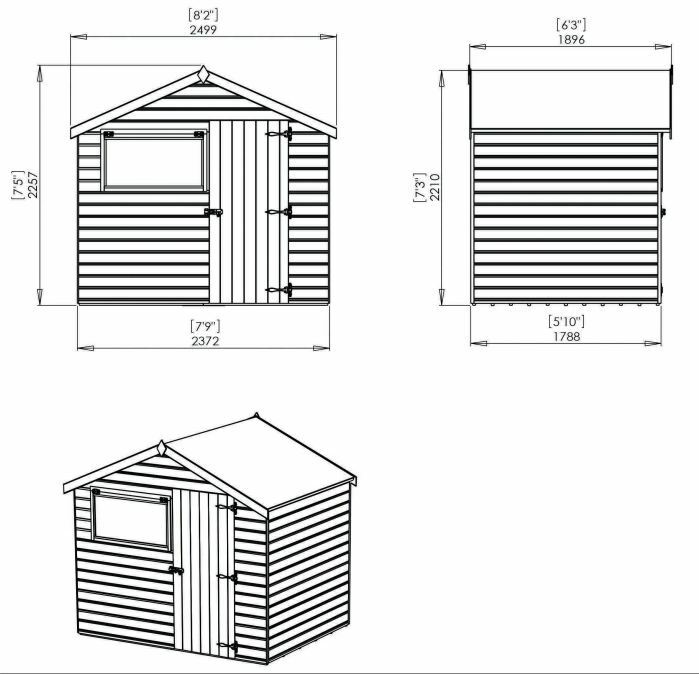 The Swansea shiplap reverse apex shed measuring 6'x8' (1.82m x 2.43m) available with 7mm shiplap and quality tongue and groove cladding. 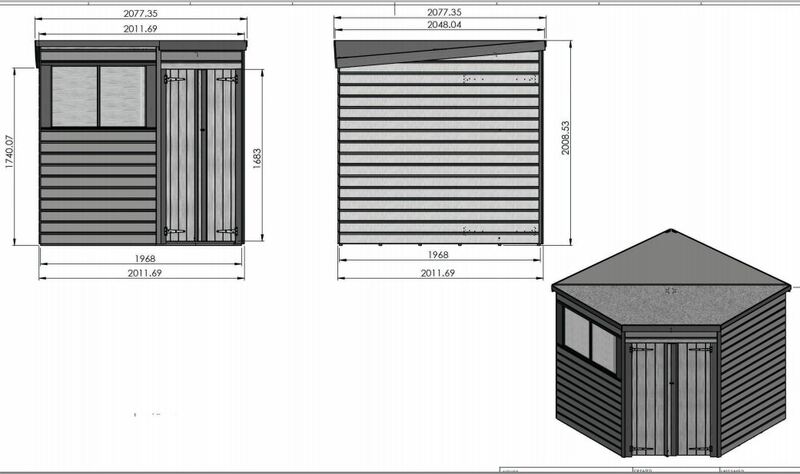 The Westminster Shiplap pent shed measuring 10'x6' available with roofing felt and tongue and grooved cladding. 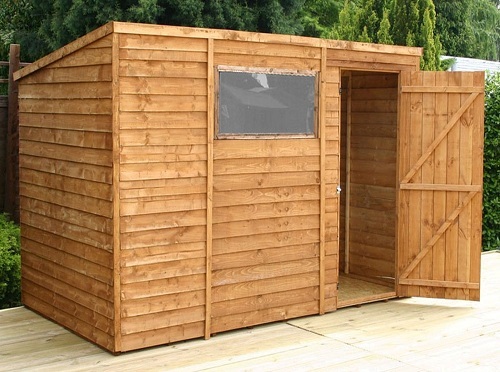 The Westminster Shiplap pent shed measuring 6'x4' (1.82m x 1.22m) available with roofing felt and tongue and grooved cladding. 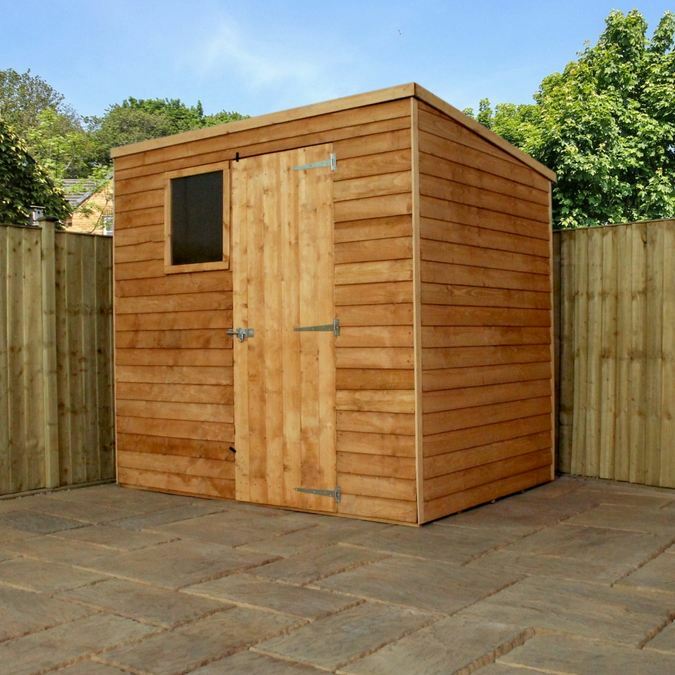 The Westminster Shiplap pent shed measuring 8'x6' (2.43m x 1.82m) available with roofing felt and tongue and grooved cladding.